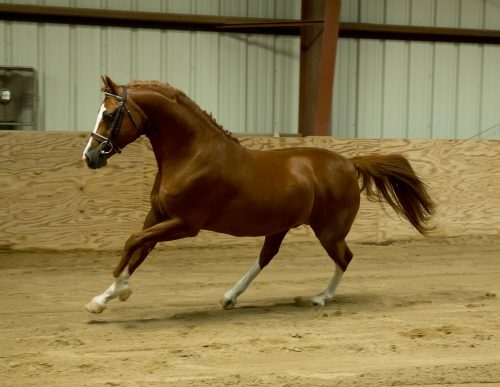 As an improvement sire for the German Riding Pony , Providence is exceptionally valued for improving type and substance, improving strength of topline, lengthening the neck, and activating the hind end for better engagement! He is equally cherished for his wonderful temperament and enthusiastic attitude as he is for his very good movement and superb jumping ability! He has sired numerous Premium foals and several Premium mares, one finds his contributions in athletic GRP offspring in several registries across the country! Providence is quite famous for the powerful expressive movement, and elasticity that his superb conformation allows. Dressage enthusiasts and hunter trainers are drawn to his very desirable gaits. Over fences, he is sought for his highly acclaimed beautiful style and scopiness. But, above and beyond all, Providence is defined by his truly exceptional “character and heart”! He exudes charismatic charm and gentleness which engages anyone and everyone in his presence. We believe that Virginia is the perfect fit for him as he is the epitome of a “southern gentleman”; always making things as easy as he can on everyone around him, calm and confident in demeanor, and always giving 100% effort and focus to any thing asked of him. 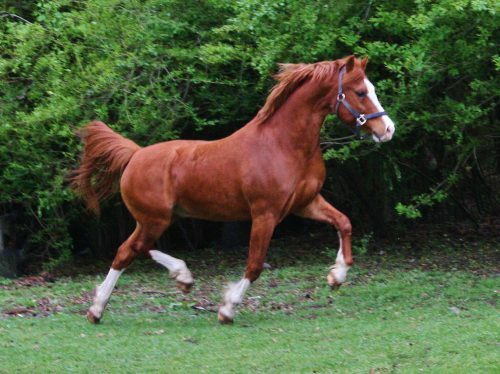 Journey to Edenhof In October of 2015, we were able to fulfill a long time dream, by finally finding and bringing to Edenhof the Welsh stallion, Evans Providence of the Night. For 20+ years, I had been looking and considering the development of the domestic German Riding Pony, right here in North America. Providence fulfills every criteria I was selecting for and continues to exceed all my expectations on a daily basis. 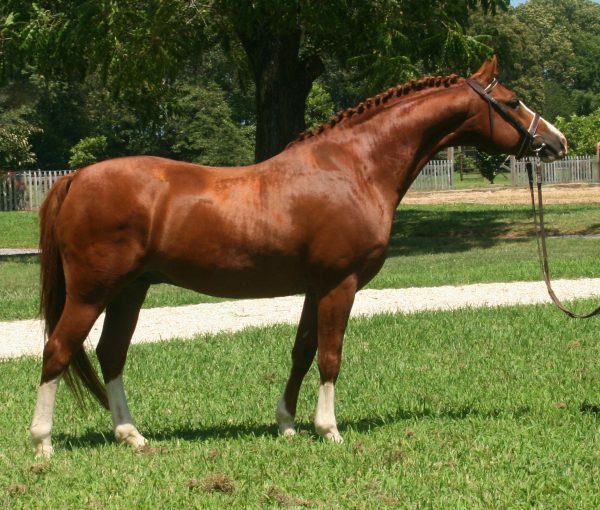 At 13.2 1/4 hands, he is small enough to be bred to the smaller warmblood mares and produce German Riding Ponies within the American size limits. These smaller versions of the fanciest warmbloods are more appropriately sized for smaller riders, and more manageable for junior riders, and seniors, as well. Determined not to sacrifice any criteria in the development of our breeding program, we have modeled it on the original German system of GRP development which used much Welsh blood in their 50 years of work. Our goal is for these offspring to have the look, quality of movement, temperament, conformation, and athletic ability of the full size FEI horse. When breeding to established German Riding Pony mares we have the opportunity to improve general pony typiness and conformation! 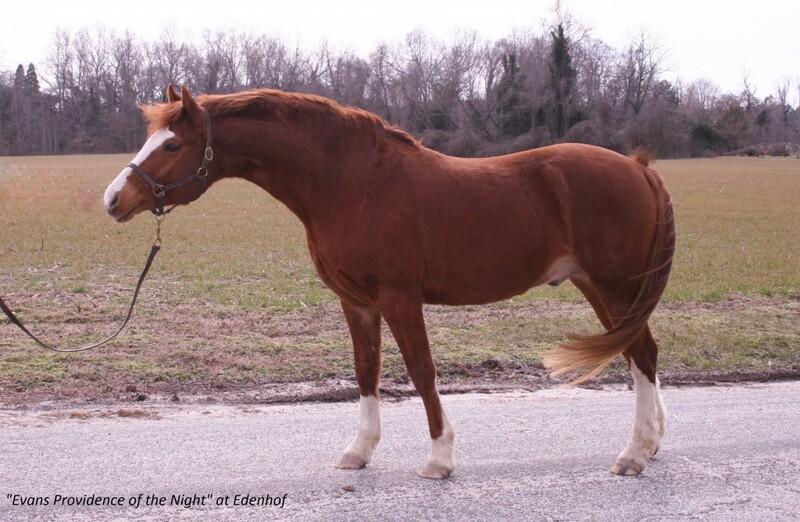 Evans Providence of the Night is the star we have been searching for as he brings his magnificent gaits, athletic ability (both dressage and jumping), as well as striking good looks to pairings with variety of mare types. 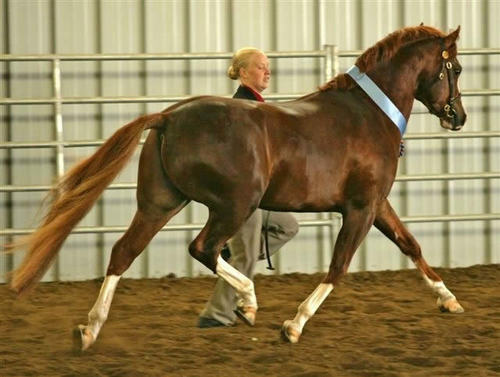 Providence contributes a great deal of genetic wealth to his offspring as he is programmed for spectacular gaits, that show great range and amazing freedom all around. He stamps his foals with his unbeatable temperament, trainability, and willingness to please. 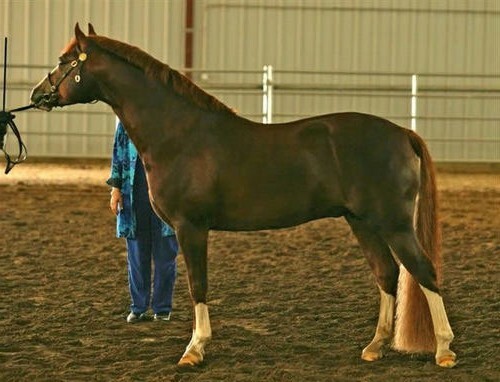 He provides superior conformation showing perfect proportions and substance, as well as good all over musculature, sporting an extremely strong topline and powerful engagement from the hindquarters.. With a quick hind leg, he is very uphill, and presents himself with great balance and presence. And of course, the bonuses are worth mentioning too, the lovely head, soft eye, chrome, and super handsome factor!!! 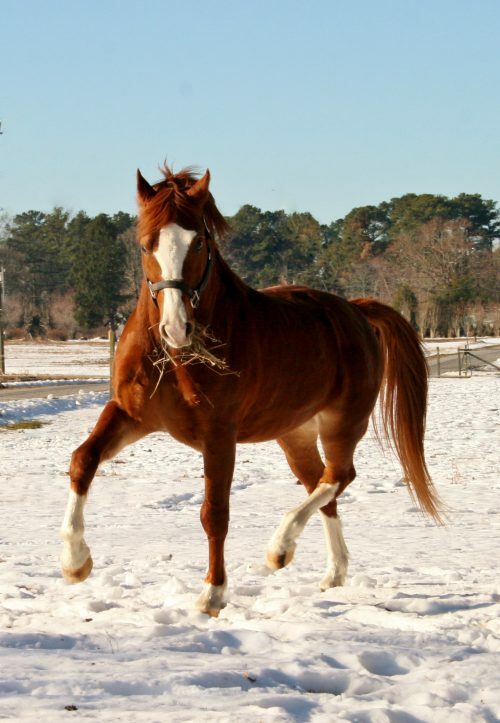 We are very appreciative to Mrs. Kathleen Evans-Rawles for breeding this special stallion, recognizing his unique gifts, and enabling us to aquire him for our breeding program.